so yeah I know you don't control recaptcha, but it's your forum, you chose to use it, I know why your business & many others use it but still. well, check the box "remember me" when you log in. I don't get one every time and I check in literally 50-60 times per day. Give it a try. The reason for the captcha is to discourage hit and run spammers. It has helped out a whole lot. now. How could it annoy you when you have only two posts......and joined 4 days ago? I can tell you one thing......I am not a robot. PM a Forum Moderator to requested a Blue Ribbon for a job well done. Maybe not, but take off the ro and I'm looking at you. Hehe! It’s slightly annoying but not that bad. The problems from spammers are reduced enough to make me glad it was added. Deliriouswell, check the box "remember me" when you log in. Delirious I don't get one every time and I check in literally 50-60 times per day. Delirious The reason for the captcha is to discourage hit and run spammers. It has helped out a whole lot. whismerhill I know why your business & many others use it but still. Deliriousnow. How could it annoy you when you have only two posts......and joined 4 days ago? Thanks. and because it took me over 5 minutes to get past it ??? because recaptcha is widely used & your website ain't the only one. And EVGA is a good brand it pains me to see such an annoying captcha system on it. and yeah I'm sorry for not having bionic eyes. or maybe my screen also needs a replacement I dunno. just live with it I guess. it is heaven not to have deal with as many spammers. The member also like it because they don't cluster up their posts. if you don't want to check the box. live with it. I dislike it because it doesn't work 100% to keep the spammers out. And it'll get worse and worse over time, but we'll still have this stupid captcha crap. In a world of drive through meals and tap payments I figured the delay EVGA imposes on its users would come under scrutiny at some point in the Earths current evolution cycle. This completely desynchronizes the day around which individual schedules have been planned. It's an additional 5 seconds per day away from facebook, significantly limiting the ability to update a persons current hunger or cleanliness status, and/or what funny antics their cat just performed. Pictures of children no one wants to see won't post themselves, people!!! It also requires up to 10 additional mouse clicks which results in wear and tear. EVGA, please eradicate this inconvenience with conviction. POST haste. Lol. I think I might be a robot. How can I tell. The only thing I notice in your picture that you shared is that there was only one option, and that was to click verify. I have noticed that sometimes when I use my PC, the recaptcha says I did not get it correct and I will usually get annoyed and want to know why it reset as well. From your example, I can’t see a bike either, so the option seems to be pretty obvious according to what recaptcha states. I can state the recaptcha has slowed the spammers down a good bit. As frustrating as it can be, it is also serving its purpose at the same time. Sometimes I wonder if recaptcha is trying to test our patience to see if we really are human, because we keep getting it right. I completely understand your point of view here, but I don’t think this is going to go away. You say no. Your input is fed back into the model and the AI is trained thanks to you. It is purposely a difficult task and will fail every now and then by design. If you didn't use such paranoid security practices, you will never need to solve another reCAPTCHA ever again. 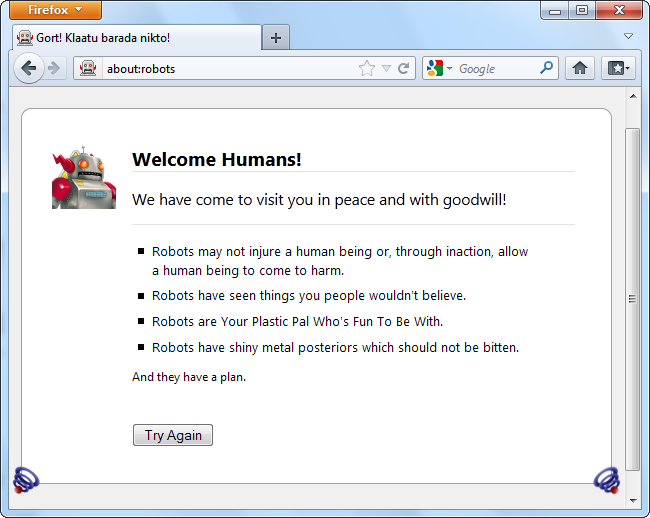 You would just click the "I am not a robot" thing, it would give you a check mark, and then that would be it. It's your high security settings which make you need to solve image tests. Thanks for your support in training AI regarding objects and road hazards for self-driving cars of the future! Thanks for your support in training AI regarding objects and road hazards for self-driving cars of the future! Well I guess they could have 2-step authentication.. I would think clicking the recaptcha would be preferable though. If you're using an unsecure connection all the time, then that's the price you pay. Ever since I read this post whenever I encounter reCAPTCHA I have been messing with it by deliberately picking a mix of correct and incorrect objects 😆 and still passing 🤣 and at this point I don't care how many times it tests me as long get through and have some fun doing it. I rarely have any issues like that. Are you on a VPN? Sometimes that can cause issues. Or if the security on your browser is set too high.